When looking for the perfect Valentine’s Day date night, there is no shortage of ways to celebrate your love throughout our coastal city. From unbeatable food to drinks you won’t want to put down, to unmatched scenery throughout, here are some ideas to impress your Valentine in Virginia Beach. Start with an appetizer at Margie & Ray’s. 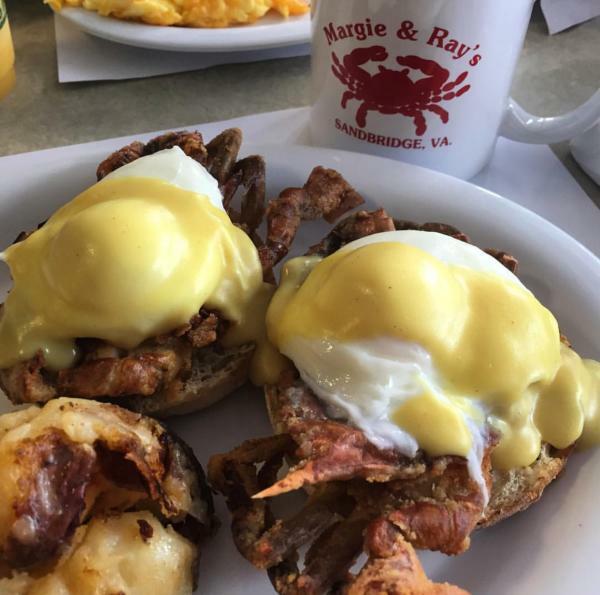 A Sandbridge staple since 1964, Margie and Ray’s has a seafood-centered menu that includes a she-crab soup that was voted the best in Tidewater. The freshly caught seafood and hometown feel of Margie and Ray’s must be experienced by any Sandbridge visitor. Next, head to Blue Seafood and Spirits for the main course. The head chef and owner of Blue has worked hard to build a reputation for preparing delicious, fresh seafood. 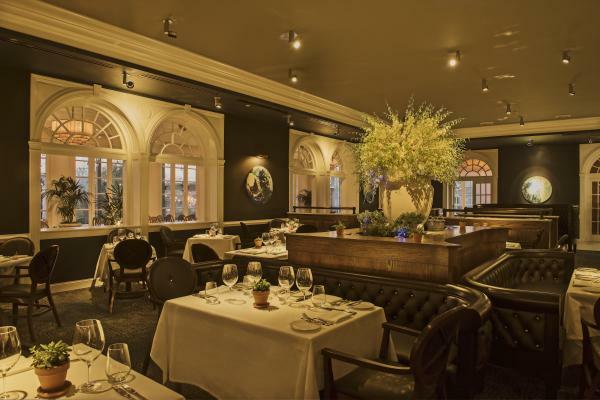 The elegant, French bistro-inspired décor creates an ambiance that complements the extensive menu. Finally, enjoy a cocktail, a sunset and live music at Baja Restaurant. Baja is known by visitors and locals alike for the back patio which offers beautiful views of the sunset over the bay. Baja hosts live music acts Wednesday through Sunday and is always a lively locale for a night out in Sandbridge. For a fancy night out at the Oceanfront, head to the newly-renovated Cavalier Hotel. Start with drinks fireside in The Hunt Room, where guests who once hunted native fowl, such as ducks, on the original property’s 4,000 acres of land, would bring their bags of game to be prepared by the hotel’s masterful chefs. The historic grand fireplace in the center of the eatery, which was found to have been structurally compromised, has been restored brick-by-brick, with each brick being placed in its original order and location. For dinner, head down the hall to Becca, the hotel’s modern farm to fork restaurant offering decadent American fare crafted from the freshest local ingredients. Many of Becca’s ingredients are grown in their on-site garden, which also features a grand stone fireplace and views of the Atlantic Ocean, making for a spectacular outdoor dining experience. Let your food settle with a stroll or a bike ride down the boardwalk before taking in a show at the nearby Little Theatre of VIrginia Beach, featuring Broadway-quality shows with local talent, to close out the night. 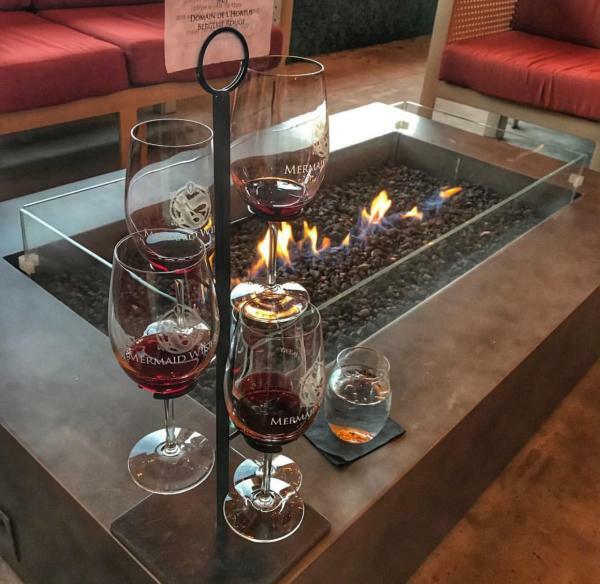 For a laid back night out in the Chesapeake Bay District, start your evening with some wine and dinner at Mermaid Winery, located just down Shore Drive. The first urban winery in the state of Virginia, Mermaid’s grapes are sourced from premier vineyards in Virginia and California. They also have over 800 wines from around the world that you can taste, too. While the wine might be what brings you in the door, the food here is a must. After your tasting, grab a table outside on their patio and dig into some local oysters with their seasonal mignonette for a starter, which pair brilliantly with a glass of champagne. Head down to Pleasure House Road for a walk along the Chesapeake Bay, at the beach affectionately known by locals as “Chicks Beach,” after an old Bay District hot dog stand. While the sun rises over the Atlantic Ocean, the angle of the Chesapeake Bay Beach sets you up for a beautiful sunset over the water. After taking in the sunset together, cap your night off with a cocktail at Hot Tuna, a local favorite with delicious seafood that is matched only by their fun atmosphere after dark. 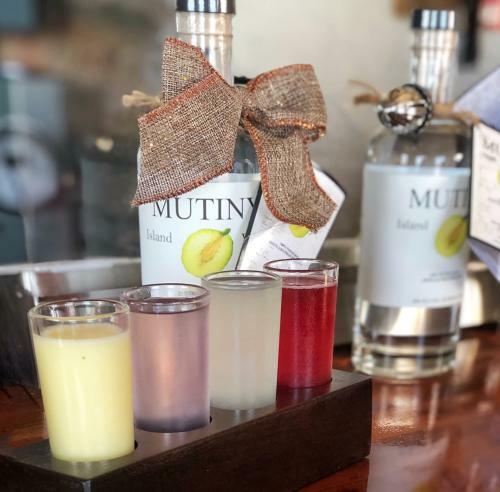 We’d opt for either a Pungo Punch, with Mango vodka, pineapple rum, fresh strawberry juice, and champagne, or one of their Signature Crushes for a truly unique Virginia Beach experience. Enjoy it at their outside bar by the warmth of their fire pit tables. The ViBe Creative District is one of our favorite spots for a romantic date night with a bit of flare. Start the night out with a Dinner in the ViBe District and drinks at Chesapeake Bay Distillery, who’s operating out of an old iconic surf shop in the ViBe and serving up vodka and rum, distilled and bottled in-house. You can sample each spirit on its own or in a prepared cocktail shooter, in a Lemon Drop or a Bloody Mary, made with their Ghost Pepper Vodka in their tasting room. After the tasting, head next door to Esoteric for a delicious dinner for two. Housed in a 1920s-era building on the Virginia Beach Historical Registry, this spot is serving up European-influenced fare using local ingredients, many of them sourced from its on-site garden, which it shares with Commune and Roost Flowers. The outdoor seating is draped in string lights and overlooks the garden, making for a romantic dinner on a nice evening. As our downtown district, Town Center is a hub for dining, nightlife, shopping, and the arts in Virginia Beach, and the perfect place for a night out with your special someone. 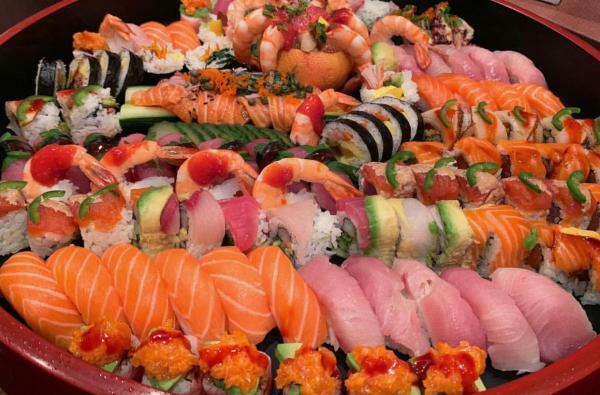 Start with wine at Sonoma Wine Bar or a classic cocktail at Twist Martini & Associates, before grabbing a bite to eat at Zushi Japanese Bistro. Try the Spicy Ocean Sushi Roll, with Scottish salmon sashimi over spicy tuna and crab roll, topped with eel sauce and spicy mayo. After dinner, take in a show at Sandler Center for the Performing Arts or the new Zeiders American Dream Theater, both just a short walk away. Sandler Center’s 1,200 seat hall is a masterpiece of acoustical engineering that opened in 2007, and now brings acts from all over the world, including national recording artists, world-renowned symphonies and orchestras, and theatrical masterpieces. Zeiders is a professional nonprofit theater that gives local writers, performers, and artists the perfect platform to inspire artistic expression of all varieties and has become an integral part of the local arts community. 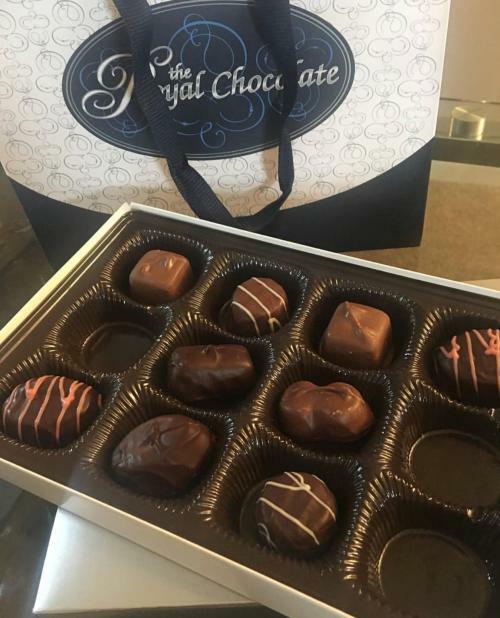 After the show, grab a sweet treat from The Royal Chocolate, whose melt-in-your-mouth chocolate, made right there in the shop, is the perfect end to your Town Center Date Night.